The Hildreth Adoption Center is operated completely on donations! 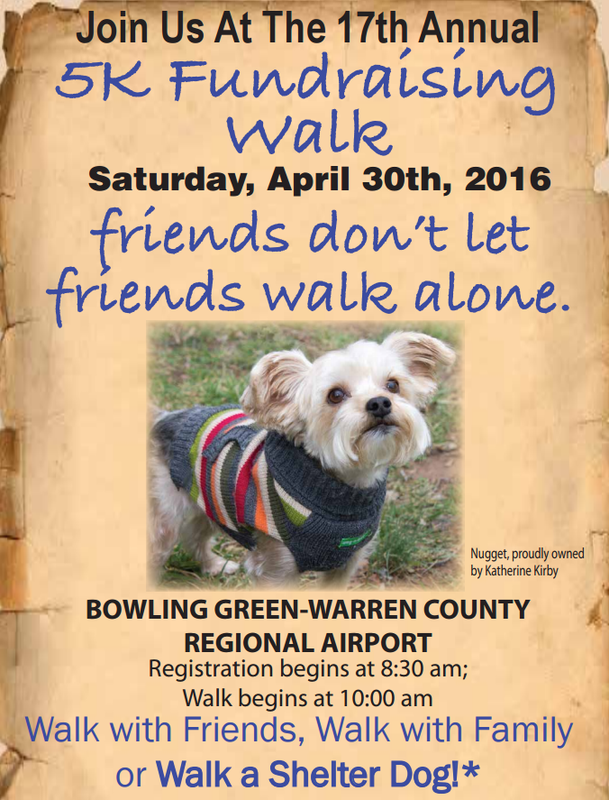 Our 5K Fundraising Walk is one way you can help! We ask that you obtain sponsors to walk the 5K. This is a total sponsorship, not a "per mile" donation. Download the printable registration form below. Bring the registration form and sponsorship money to registration on the day of the event. * Please contact the shelter prior to the event if you want to walk a shelter dog. We can not reserve shelter dogs until the week of the event, and you MUST visit the shelter to find the right match the week prior to the event.